Faceless artist and political activist Banksy is best-known for the graffiti displays that are sprawled across buildings in cities worldwide. But in his latest offering to the art world, he’s gone one step further. 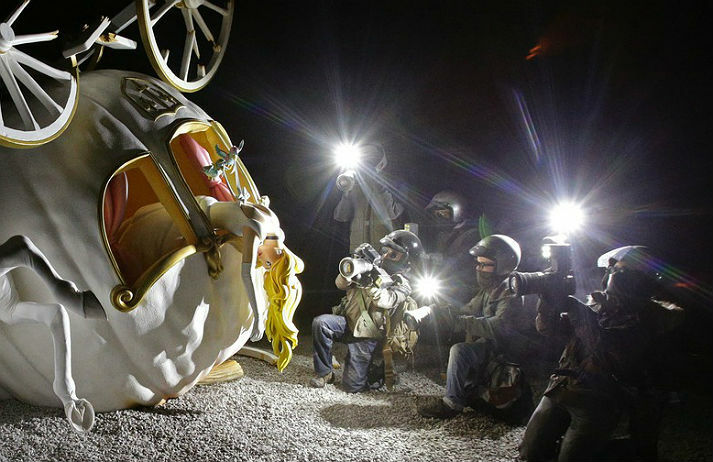 Welcome to Dismaland, the ’family theme park unsuitable for small children’. Trying to escape from a locked room might sound like a scene from a horror movie, but people in the US are paying good money to live out this fantasy. What’s the appeal of ‘escape the room’ games, and how do they fit into an entertainment market soon to be dominated by virtual reality? Across the US, over a quarter of museums are seeing a decline in attendance. While some blame the recession, museum geek Mark Rosen has a more sobering reason – museums are run by dull people. Rather than complain, Rosen created his own work-around, and started the Museum Hack.